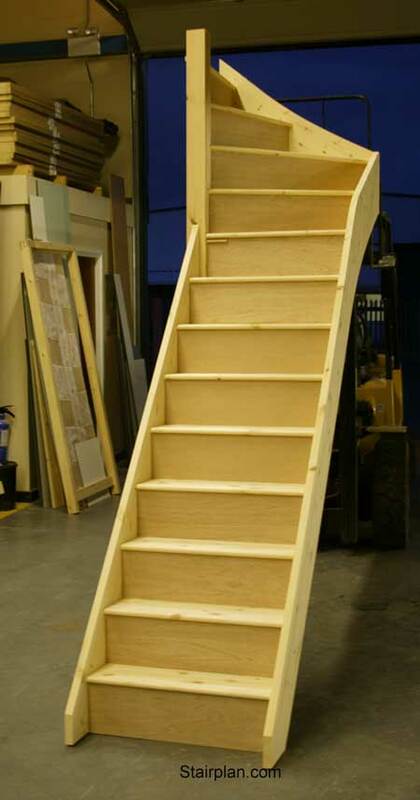 Cut String Winder Staircase in Engineered Pine ,Curtail step and Vollute. 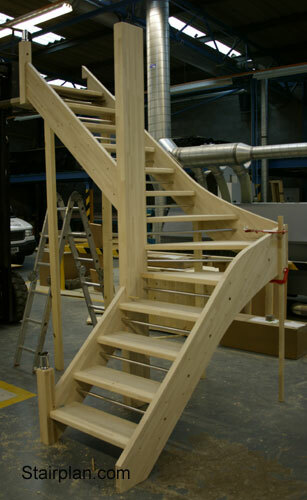 T-Shaped staircase with closed strings, the strings are in Parana Pine and the stairparts are in Hemlock. 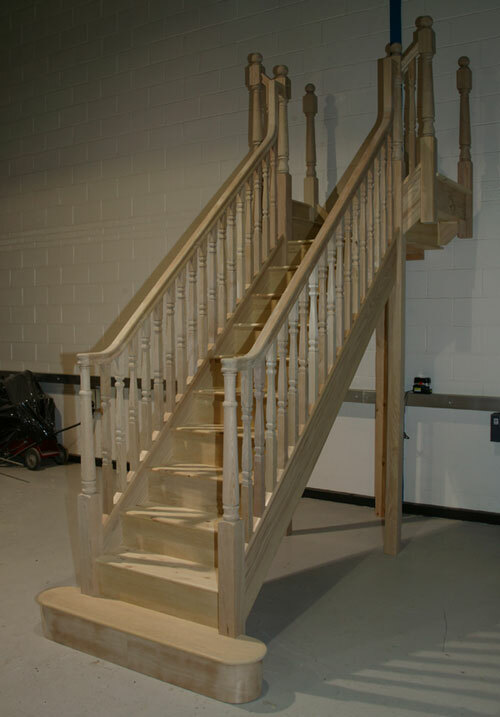 Provincial Spindles with Turned newel turnings and HDR handrail. 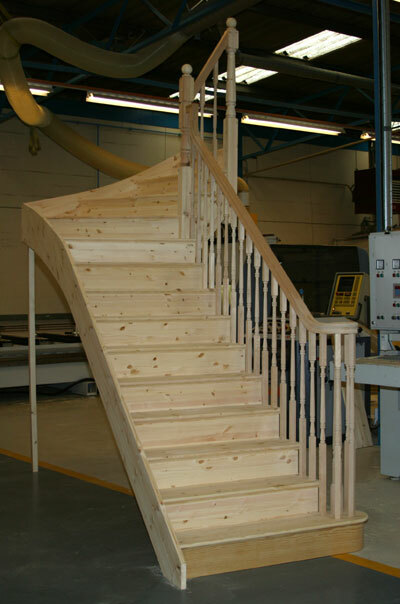 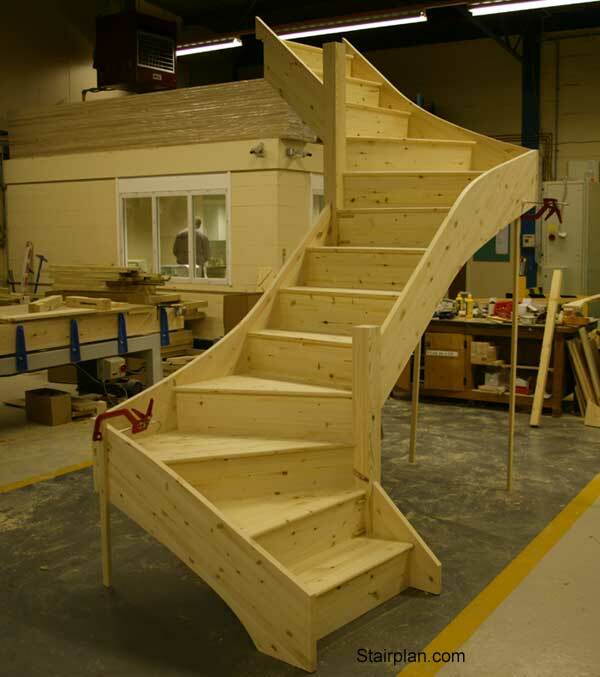 Here is a Picture of a "Z-Form" Winder Staircase constructed with Engineered Pine Strings, Treads and Risers.